There is a long letter, full of photos and cheery news from the past year that I write this time each year to friends and relatives. This is also the time I create my list of resolutions. But this year, I just haven’t had the energy to write a long letter detailing 2013, which was shadowed with trying to regain my footing after my beloved Mama’s death in January. Every few weeks last year, another friend’s parent seemed to die, sending me back into the black. So, I haven’t written a letter. And there goes one of my resolutions already, the one to do a better job of staying in touch with friends and family. 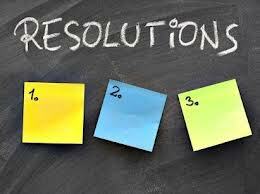 In searching for resolutions, I found a long story about the best way to make the year matter, most of which involves asking yourself the big questions like, “Why Am I Here?” All good questions, but none of which I think I can consider in the hurly-burly of daily life. Maybe if I scheduled a trip to an ashram… (which probably should be another resolution!). Another list has some really great suggestions that would certainly make me a better human being. Unlike the grand questions on the previous list, this one details the person I would like to be, maybe even the person I think I can be. The list seems to boil down to two themes: spend more time being by yourself and spend more time being kind to others. The trick, of course, is how to balance those two. Some mornings, I can do both at once; on those mornings, the kindest thing I can do for others is to be by myself since I am not fit company for anyone. My eye keeps finding #22 on the list: Stop shaming yourself for doing things that are perfectly, normally human, but happen to be deemed imperfect in society. This actually hews closer to another philosophy I discovered, a parenting philosophy that might be the best resolution of all for me this year. Called the CTFD Parenting Method, it urges parents to just Calm The F**& Down. Here’s something I can get behind. Every time I get anxious that I am underachieving, every time I fall short of my arbitrary measures, every time the harshest judge – myself – sneers and shakes her head at my shortcomings, I need to CTFD. Come to think of it, maybe this would be a good resolution for our politicians as well. What about you? Any one resolution resonate this year? Won’t You Be My Friend?